There is a difference between Arnold Schwarzenegger and the British Indian actor who plays an astrophysicist in The Big Bang Theory. And that’s why the Austrian-born American was so successful in 1990 with Total Recall while the latter is now making big money with a sitcom. But let’s imagine that somebody wrote a book completely dismissing the difference, the result could very well be Virchol. We meet Aakrit, the bland protagonist, in his apartment. His life is boring and monotonous and he has a home assistant artificial intelligence named Kate that takes care of all his domestic needs. So he decides to try Virchol, which stands for virtual holiday. A product by a megacorporation known as Recorp. 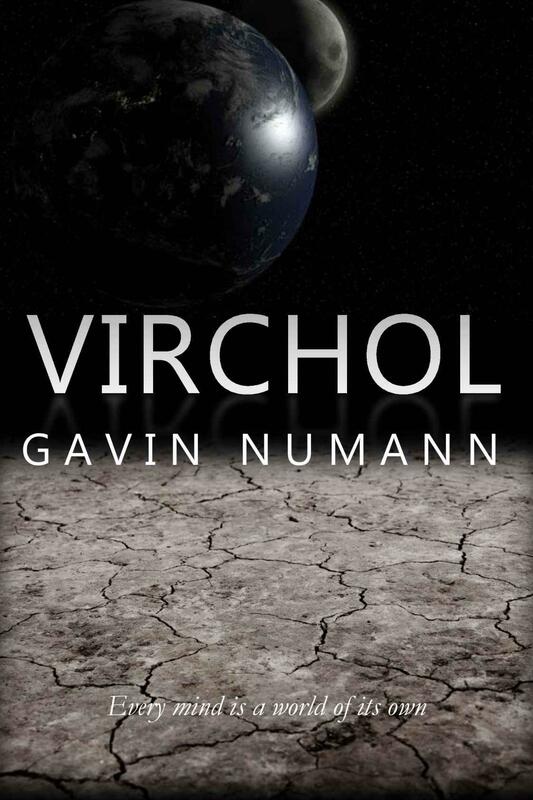 I know, Virchol looks misspelled – the author, a market researcher by profession, does explain that. But the explanation never quite convinces Aakrit, or me. So he takes a virtual holiday. And where does he go? To Mars as in the original “We Can Remember It for You Wholesale”? To the Far West to have a gunfight with Yul Brynner Westworld-style? No, he goes to take a walk down the streets of a nearby city. When he’s back home he is embarrassed to mention his virtual girlfriend Kate in front of his home assistant AI Kate. Then one day three uniformed people come to his apartment and take him away. He’s been recruited by the government to infiltrate the mind of the leader of an enemy nation. Apparently, they have detected that he has a heightened telepathic ability that when combined with Virchol will allow him to peep into other people’s dreams. After this there are some training scenes and several “as you know” lectures before the “cyber war” begins. One of the problems with this book is that it’s never been proofread. And it’s not just the usual typos. Numann has a problem with verb tenses in many subordinate clauses. None of this would have happened if he had just done the usual things he does on Sundays. Aakrit woke up expecting to hear Kate’s voice telling him his coffee is ready. After a quick round of introductions the six of them discovered that they’ve all had exactly the same experience. If there was one person that Edwin feared, it was his father. But in this case he rebelled against his father’s wishes and told him he doesn’t need his help in getting the hovercar, he would do it himself. His father finally gave in, partially, and told him that if he wants it he would indeed need to arrange it himself; Ricard will have nothing to do with this transaction. Another problem is that once the action begins Numann dwells for a long time on one side of the war and then drags his prose through the other instead of dovetailing the scenes with lively action-and-reaction sequences. Unsurprisingly, the bravest thing Aakrit does during the war is whining at the enemy. I’ll forgive a thousand typos. But a scarecrow protagonist just makes me look for matches. Would this book be fixed by a stronger main character? A stronger character would certainly be an improvement. But that would be a different book because a strong main character shapes the book by his actions. And this guy is just a passenger in his own life. To continue with the example in the 1st paragraph: would TBBT improve with strong characters? I’d love to see something like that but they’d have to rewrite the whole thing. Come to think of it, wasn’t there a remake of Total Recall that replaced Arnold with a passive victim guy? Do you mean the 2012 movie? Colin Farrell’s character was not this unnaturally passive. I preferred the 90s TV series. Although it was more based on Blade Runner. And the protagonist was happy enough that he actually did not go to purchase a virtual experience. By the way, his wife was one of the most feminine wives I’ve seen on a TV series, elegant and generally demure. In the original short story, the two movies, and the TV series, the protagonist had (at least initially) a stable relationship with a woman he liked (Arnold had Sharon Stone and Colin Farrell had Beckinsale). This Aakrit has shyness problems even with his AI domestic assistant. In the original short story and the two movies he goes to Rekall because he wants to have a big adventure. In this book he is happy to use Recorp to just have a walk that he could easily have in his real life. But Aakrit’s ridiculous behavior is never presented in a humorous way. Perhaps the most reasonable way to improve the story (without a complete rewrite) would be to give it some British humor. He reminds me of characters like Frank Spencer from Some Mothers Do ‘Ave ‘Em or Red Dwarf’s Rimmel.